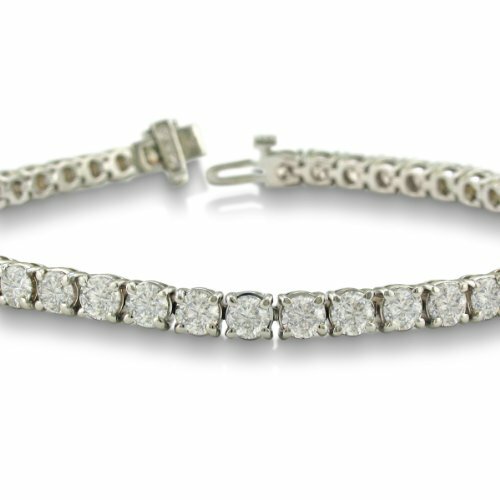 You simply will not believe this fine diamond tennis bracelet. 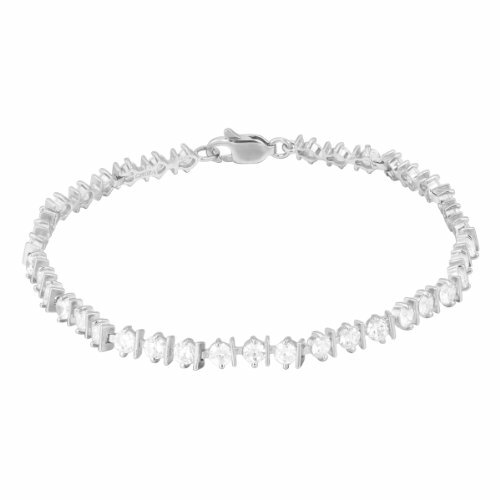 Elegant, Important, and Enormous, she will be the envy of her friends when sporting this 10 Carat Diamond Bracelet! 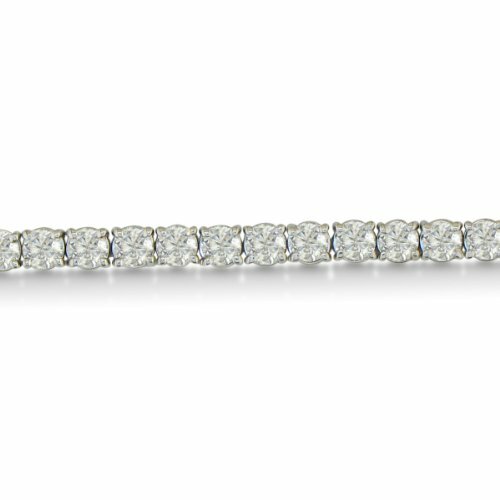 This 14 karat white gold 10 carat diamond line tennis bracelet has a square based setting that is comfortable to wear and quite classic. 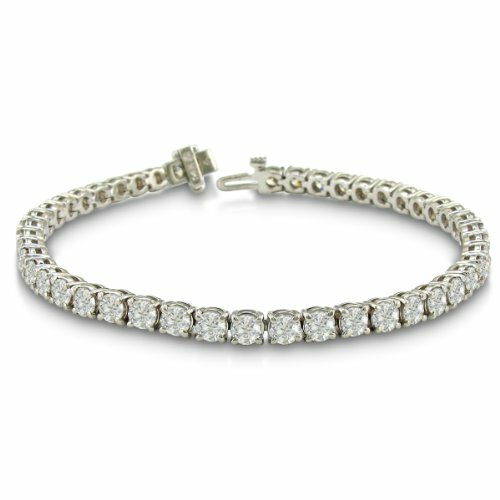 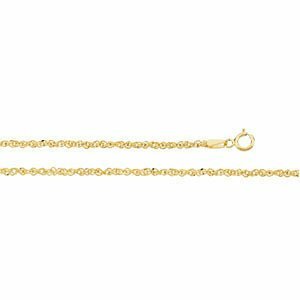 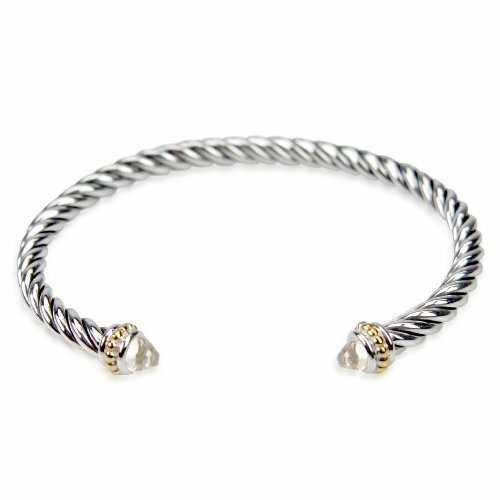 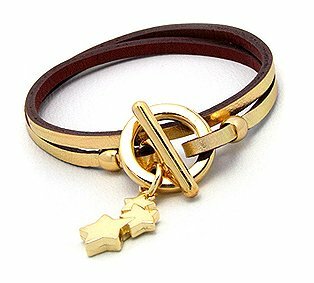 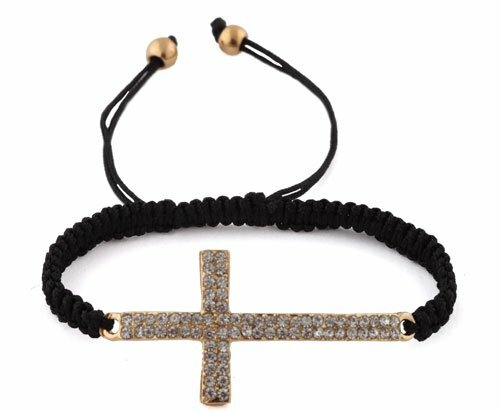 Definitely a very fine diamond bracelet basic. 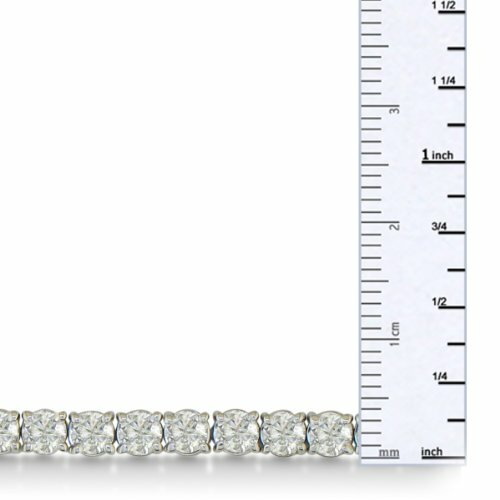 She will love the fiery diamonds, 10 carats total weight, I/J color, I1/I2 clarity.